* Perfect for people who want to create realistic dioramas with their 1/48 scale planes. * The form of the actual Kubelwagen has been accurately replicated. * Every characteristic of a late production Kubelwagen such as short rear fenders has been reproduced. 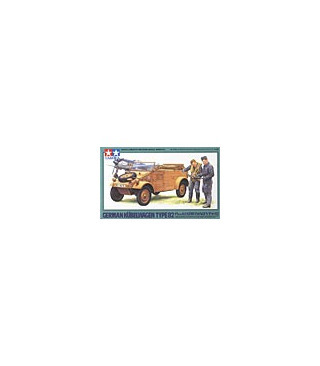 * Comes with decals for 4 different markings including 3 vehicles from the Luftwaffe. * The interior has been replicated down to the finest detail. * Front doors come as separate parts and can be attached in opened or closed position. * Set includes 2 figures in standing position, one holding a map and the other giving instructions just before flight.